author of Artisan Bread Everyday and Bread Baker’s Apprentice. 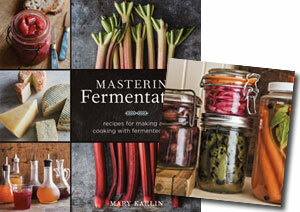 “Mastering Fermentation is full of recipes and ideas that are imminently doable and also delicious”. “Part cookbook, part textbook, and part travel guide through the world of hand-crafted cheeses, Artisan Cheese Making at Home is both educational and inspirational”. Mary's newest book, Mastering Fermentation, is an authoritative guide to the art and science of fermented foods, from simple fermented foods to more advanced techniques; a solid introduction to the wide world of fermentation. 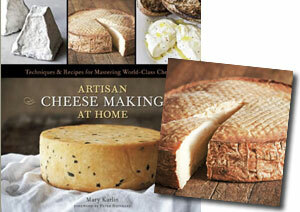 Mary’s second acclaimed book and theme of her sell-out DIY cheese making classes, Artisan Cheese Making at Home, is the quintessential guide of how-to recipes and techniques for mastering world-class cheeses in your home kitchen. 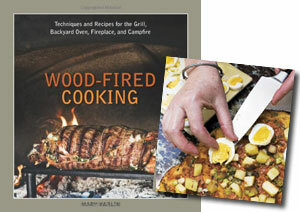 Explore this ancient yet contemporary form of cooking through Mary’s acclaimed first book, Wood-Fired Cooking, or in any one of her popular wood-fired cooking classes.